21st NOVEMBER 2009: 6 years ago… on this date, I had filled up the first page of My Yatra Diary… I vividly remember how excited I was. Picking the article from my offline diary and typing it to an online one. I genuinely hoped that this travelogue would help someone who was searching for related information on the place on the internet or would satiate someone’s wander-love by inviting them on an armchair tour. And what a sheer joy and blessing to have come this far. A significant point that marks the 6th year celebrations of the blog, it’s a good time to just pause for a while, marvel and reflect on the journey that has been including the lessons that I have learnt and the insights that I have gathered in this blogging journey of mine. 1. THE POWER OF CREATION. There is a little child within all of us. One that is totally irreplaceable and one of the most precious beautiful person we will ever meet in our lifetime. But how many times do we realize that? And have the courage to honour, respect, appreciate that pure loving child for who she is and what she says? Views that are independent of the moralistic right and wrong as dictated by the society. For most of my life, I snubbed and ignored her, my little one within, for the chaotic chatter that the rigid society fed in my mind. Just go away and leave me alone, I used to tell her. I was the person who, for some reason, was always at loggerheads with her. Thanks to blogging, I have now realized my mistake and this is one space where I let her take the centre stage. Completely. Not only that, I have learnt so many fascinating and new things from her! In blogging, she now has a space for herself where she can create freely and express openly without any negative conversation. She has continually taught me to filter my thoughts and have the courage to reclaim what is truly and meaningfully mine from the constant barrage of media and frenzied noise that we are fed each day. By creating this blog, she has given me an identity of my own as a liberated human being who loves to play with her own thoughts and ideas and create an art that is soul-signature mine - without really worrying for the approval of others. I feel so lucky to have her as a friend today and though we are still in the process of getting to know each other, we both revel in the joy of whatever we create, no matter how abstract it might seem to the much civilized beliefs of the society. 2. A SPARK OF SELF-EXPLORATION. While my yatras took me to new places even as a child moving and discovering newer destinations, it was blogging that provided a medium of transition turning my attention from the outer world to an unmapped space within. It pushed me to dig deeper and see my experiences from a quieter space, in a new light, that light that came from nowhere else but my own being. It was here that… places ceased to be just places anymore, each place now had a personality of its own, one that was revealed differently to different people. Is the place trying to tell me some story? If so, what? If yes, why? Blogging invited me to just stop and be still. And answer all these questions in the way I wanted to. In my own style. In my own exclusive way. It was a space where my spiritual life and creative life converged in the insightful yearning to listen to the depths of my travel experiences that often called me beyond myself in search of a greater meaning in life, into a relationship with mystery, and towards a greater contact with the unseen divinity that I have a strong belief in. And that solitude itself has today became a journey of its kind. A journey that takes me away from the worldliness at the same time bringing me closer to the wonders of the world – the world that I carry within. 3. INDEPENDENCE IS BORING, INTERDEPENDENCE IS FUN! There is no denying the fact that blogging gives you a great rush of feeling independent. But to harness the real joy of blogging, over the course of time, I came to appreciate that it was not independence but interdependence that was really the way to happiness and harmony. ‘Write what you think. Who’s there to stop you? But don’t forget to listen to others viewpoints as well. 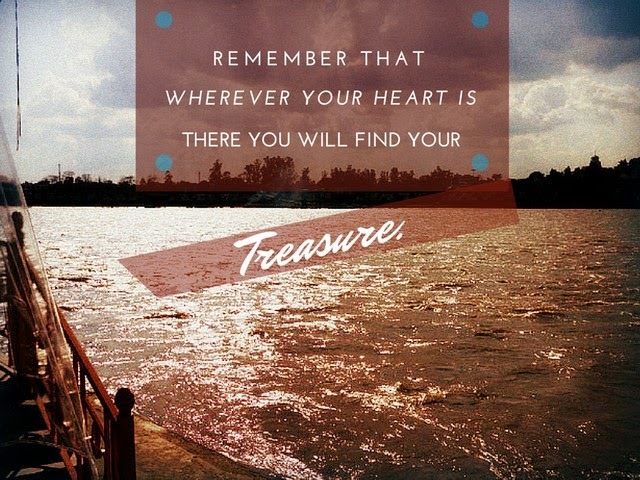 And accept what resonates true in your heart’. A communication channel through the comments section many a times have helped me understand many a different perspectives of my own thoughts. Sometimes it’s not until the time when your own beliefs are put into question, that you make an effort to change and grow. To interact warmly, to share freely, to trust in people and to enjoy is the crux of any healthy relationship. This journey of blogging has really been no different. 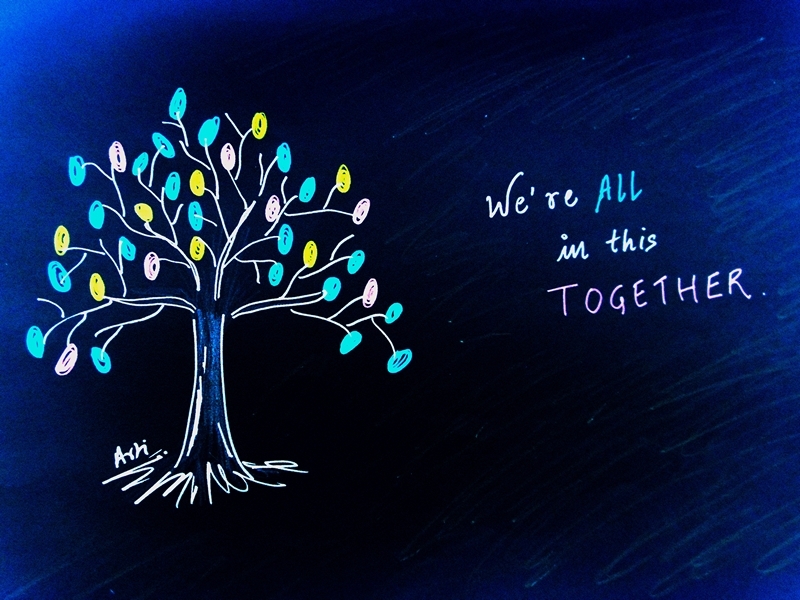 Because ultimately, we are all dependent on each other for all the basic human qualities that help our spirits grow. 4. 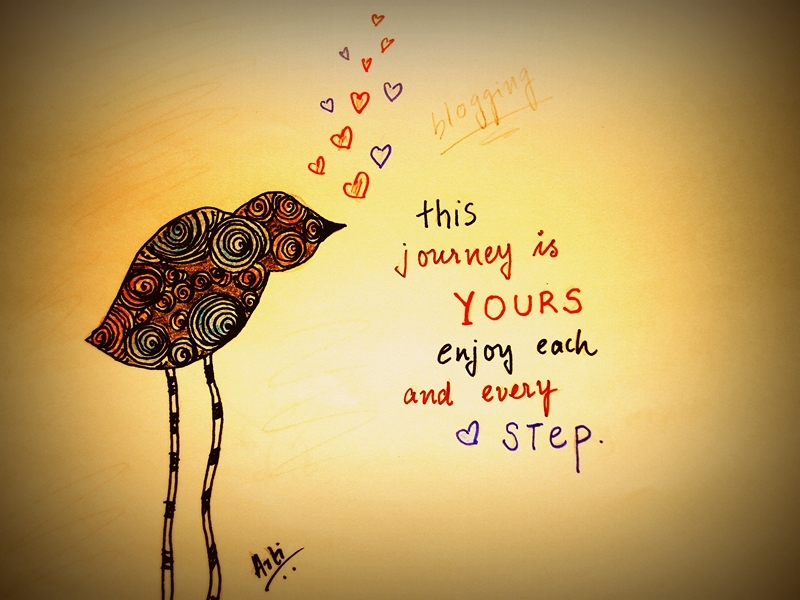 EMBRACING THE JOURNEY AS IT IS. It’s important to embrace the journey. No worries. No fears. No harsh self-talks. No judgements. Embracing it as it is. I never ever thought of winning a contest even after I had been almost forced to participate in one (there I go again: Didn’t I tell you, I never believed in her. Old habits really do die hard.). And at that point in time, I didn’t even care. What I clearly remember though was the joy after writing these posts and publishing it for everyone to read. The appreciation I received thereafter for all the hard work and soul that I put in was way more a gratifying and rewarding feeling than any tangible award could give. I felt it. Happiness. This happiness was immeasurable and filled me with such ecstasy that it cannot be described in words or equalled to any number of achievements that people generally want to talk about or I go bragging today. Mind you, this is not to say that I didn’t enjoy my tangible awards (includes 2 dream all-expense paid international trips to Japan and Melbourne) – I am more than grateful to have received them! But my point is that these prizes don't show the entire journey that got me here in the first place. They are the cherries on the cake and not the cake itself. Same happened with money. The intention to earn anything from my blog was never there. I was so high on the first point (the power of creation) that things like money somehow never dared enter my bliss equation. Hence, I never went out of my way to bag any money from anyone. And then one day, money came in, and later again and again… when it had to, through people it was meant to. I took some, I rejected many. And today, I have a savings account dedicated solely to my blogs earnings. I never started the blog to make any friends or do any kind of networking and yet today I feel blessed with the company of wonderful friends, both virtual and real, not only from India but worldwide. The trick, as I see it now, was to just keep flowing and trust the Universe enough to know what I needed and when, and bring things accordingly. 5. COUNTING MY BLESSINGS AS ACHIEVEMENTS. For all the immense love that the diary has received till date, I fall short of words to express my immense gratefulness on this nostalgic day. I know friends are wonderful and kind and they will say ‘Arti has been blogging for 6 years continuously – wow.’ But I will tell you something - moments of self-doubts, criticism, harsh judgement, nagging low feeling, weariness, procrastination – you name any of these so called negative emotions and they have all been a companion at different points in my 6 years of blogging journey. What’s then kept me going is you and only you, your generous blessings and kind well wishes which have smashed any and all impediments that I have tried creating in My Yatra Diary’s way. Like one popular Irish saying goes, I sometimes feel, that in this 6 years of my blogging, God has given His beloved child just about enough of everything she needed to keep her close in His folds. No greater blessing than this! 6. THE GIFT OF GRATITUDE. What was once a leap of faith into unknown territories… today (I believe and hope) has helped many people plan their travels or give a virtual tour to the rest. For one, it has definitely helped me. Today, my blog is my number one go-to retiring anchorage where I am most happy just being myself. It’s here that I love learning new things about the world and more importantly about my own self, the little child within. 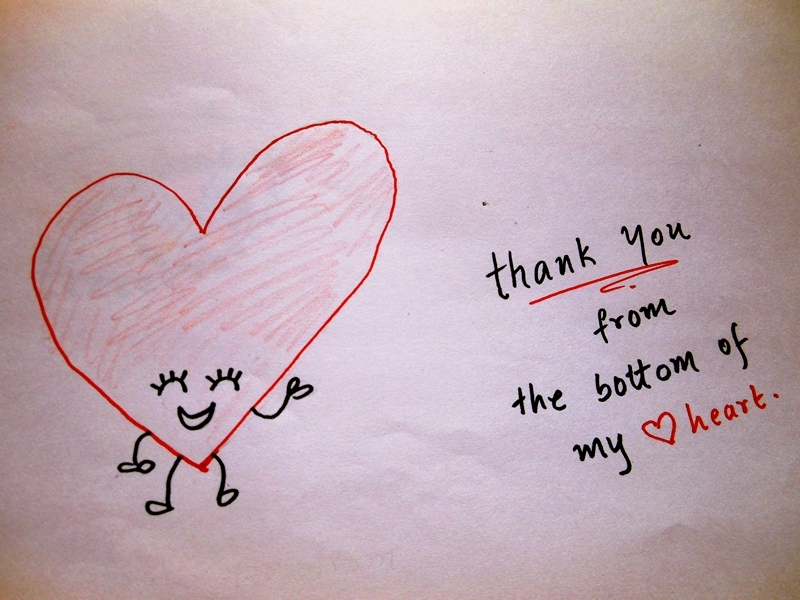 Thank you, all you wonderful people that I met through my blog along my blogging journey. Especially those who are reading this right now. Huge thanks to my family - my father who has always believed in my writing skills more than I will ever do, my dearest brother who believes in the credence of my yatra diary more than I will ever do and my mother who makes sure that I have my feet planted in the reality grounds. And all you beautiful friends, who with your thoughtful footprints, have watered the tiny garden of my soul. All of you have believed, motivated, challenged, stretched or encouraged me in your own unique ways and helped me stand on my own feet and be wherever I am today. I and my little diary will be forever deeply grateful to all of you. Thank you, from the depths of my heart for making all this possible. So beautiful. I relate to each of your learnings. Like you I started only to pen my thoughts, had no intention of even reaching out to people or making money. I guess the spark, the passion to write and share and as you mentioned to have a dialog and make virtual friends happens naturally. I have always loved your posts and my limited online interaction has revealed to me a warm, happy, helpful person. May God bless you and take you to bigger heights of achievement. Congratulations Arti. Looks like these 6 years have taught you lessons most of us learn in a life time. 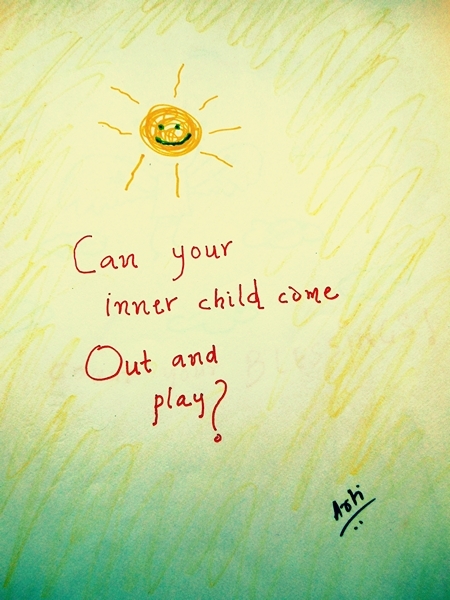 Wonderful to know that you answered the inner child's voice at a time when we suppress it even more. Kudos to your resilience and grit. Looking forward to more stories of yours which will show the lesser known side of the world we live in. Congratulations Arti for the creating the place for positivity, inspiration and peace for 6 years. Amazing amazing journey. :-) Love 'My Yatra Diary' so much. Beautiful post and lovely Sketch. great feat indeed .. keep writing we are enjoying a lot .. knowledge and leaning indeed !! What an incredible feat! I admire your passion and vision. Only true grit and passion can get you to achieve things that you dream of! Inspiring indeed. Also loved your lovely sketches....direct dil se! Best wishes for more adventures and more blogging! I am about to complete a year this month and I so agree with you. We learn so much here and many do so from our experiences. Your post is so deep in meaning and reflects your emotions quite well. It has been a pleasure reading you, Arti...many Congratulations! I've enjoyed learning to know both you and your culture over these many years, Arti. I'm so glad you let your inner child come out to play. (At 71, I still welcome mine!) I love your sketches on this post. Keep writing! Congratulations, Arti! Way to go. May you have many more travel blogging years ahead. I could relate to most of the points here. You a wonderful artist too Arti .. loved the tree and that bird so much! I agree with all of your points here with a special mention to the Interdependence one. Congrats Arti. It was always nice reading your posts. That's a great idea to compile a post on your blog. Most of us can relate to some of the feeling your shared. Lovely ! Congratulations. I guess every blogger will relate to your journey. Yes, there are times when we all feel low but to overcome it and continue is the real essence. Many Congrats Arti for reaching the Milestone.. Best Wishes! Arti dear, time for Congratulations and Celebrations!!! A big big hug to you. You deserve every word of praise and adulation. Here's to many more such years of self-discovery and growth, and being a source of through joy to others. First of all, many congratulations, Arti. Your diary is one of the virtual places where I feel so peaceful. Your travel posts are so soulful that they always resonate with me. I share your thoughts. Lovely words & sketches. First of all, Congratulations Arti for your incredible journey! And you insights? well, as beautiful as ever - honest and dil se. I couldn't help but nod in agreement to most of it. Especially the first one - a child within each one of us! How true is that? The stubborn child who refuses to budge and asks you to go ahead! Hats off to you for your success. Keep it coming! I'm visiting your blog after many months. True, blogging has given us so much. Keep blogging and would love to hear from the little girl within you and make friendship with her. Congratulations. May your Yatra takes you many more places. love what you said here since it's really true! Straight from the heart! 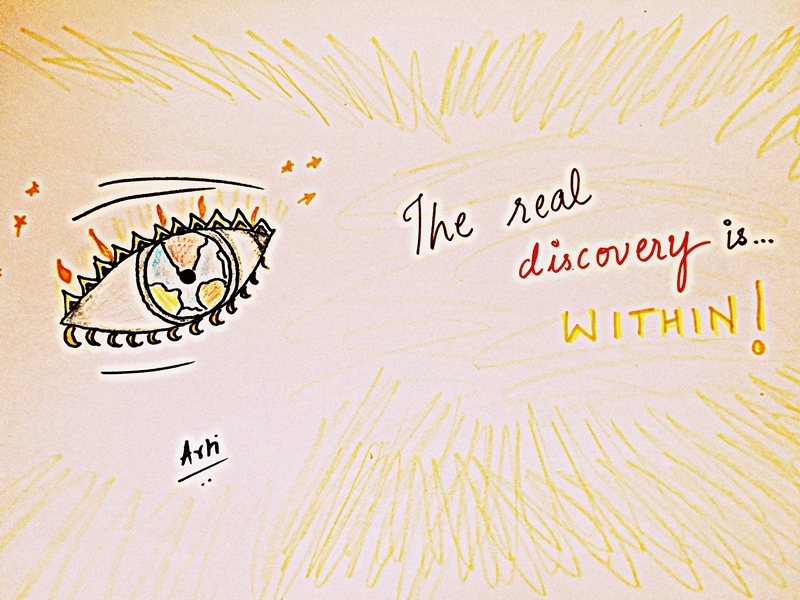 And wishing you many more discoveries and milestones! 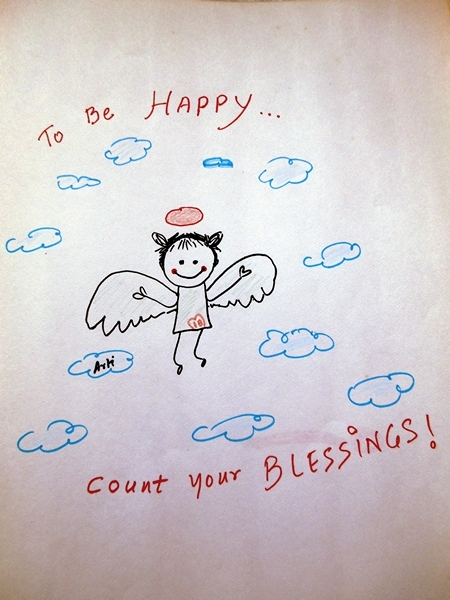 I really liked your thoughts on going by the flow and counting your blessings. The former is something we should always keep in mind because as much as planning is required sometimes we need to be prepared for the unexpected. And as for the later, we really forget how lucky we are , in some way or the other, when compared to others. We should always remember to count our blessings. Congratulations Aarti, your post is so honestly refreshing and touches a chord!! Hi Arti! I am new to blogging and new to your blog. I'm looking forward to visiting often. You're achievement is very inspiring as is your authentic writing. I love the part about interdependence. We are after all interconnected and our happiness is always best shared! Congrats Arti and wish you 60 years of blogging... :) it was a wonderful, inspiring read. Thanks for being an inspiration. Arti - congratulations girl !! You know what I really loved the most is the line independence is boring, interdependence is fun !! It just makes perfect sense in a lot ways and thank you for put that thought in my head !! Let there be many stories to be told and many posts to be read !! Hey Arti! Your writing is so unpretentious and your approach to life so full of disarming humility. I love the fact that you are happy just being yourself on your blog. I also like that you talk about your accomplishments as being the cherry on the cake and not 'the cake itself'. It's true - blogging is a passion that not many understand and many times only our belief sustains us. So, congratulations on completing 6 years and I wish you many more years of writing and helping people on their journeys.